SENIORS PERFORMING ARTS PROGRAM AT CENTRAL ASTORIA LDC! 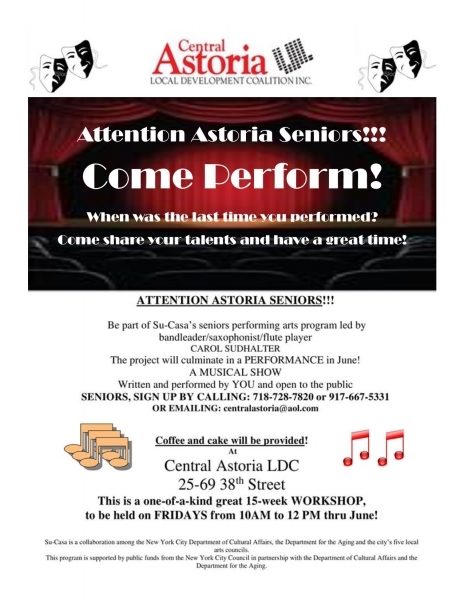 You're invited to the 2nd workshop of our seniors performing arts program on Friday, February 15th at Central Astoria LDC from 10 am to 12 pm. Kindly RSVP by calling 718-728-7820 or emailing centralastoria@aol.com.